I’d like to wish you all a very Merry Christmas! I hope you’re all eating great food, drinking delicious drinks and feeling very grateful for your family and furiends. Those of you that might be feeling a little bit lonely, please know that I really do love you all and I am so grateful to have all of your pawesome souls in my life. Wishing you all the very best and a very happy and healthy Christmas. Thank you Bailey. I am so glad that you are in my life. I look for your post everyday. Hope you had a merry Christmas and got lots of tasty treats. Merry Christmas, Bailey and family! Merry Christmas Dear Baily, To you, the lobsters and your mom & dad. Having you in our lives is a true blessing. 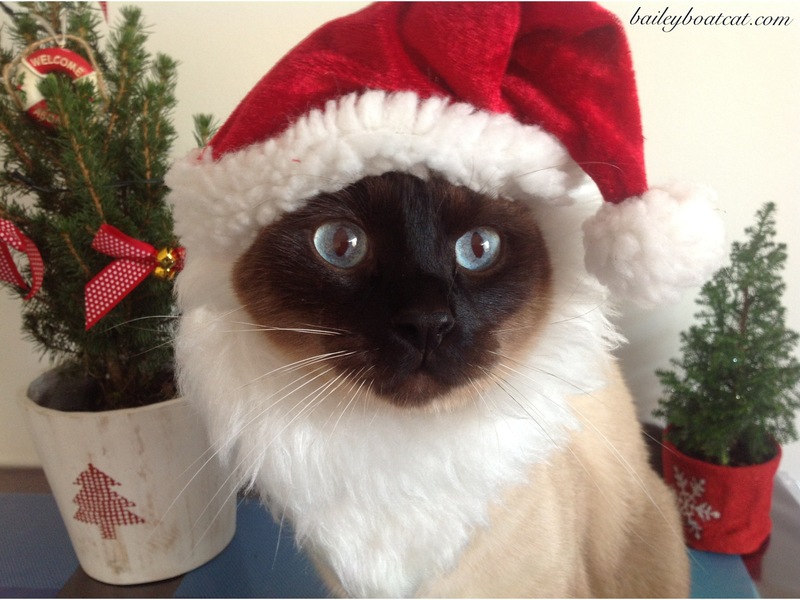 Meowy Christmas to you and your family, Bailey! Merry Christmas to you and your humans, Bailey! BaileytheBC, I just found you and am so excited to travel the world through your eyes. My bucket-list dream is to travel the world the way you do. I love your sense of adventure, fun, and wise-crakin’ through your feline eyes. In my best French, “Bon voyage en bateau mon ami”. Aww thank you very much I hope you enjoy the adventures 2016 brings!